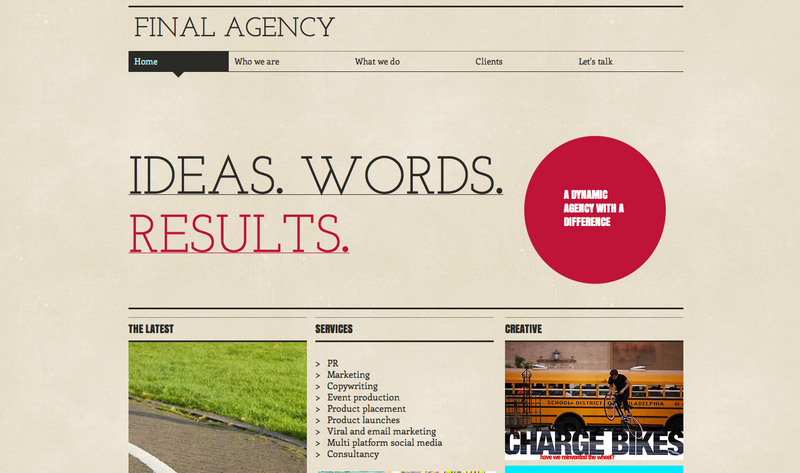 My services at creative consultancy, Final Agency have been so in demand that I didn’t have much time to get our website updated. I’m pleased to say that we’ve now been brought bang up to date, so go take a tour and see what I do for a living. One of my latest projects is working with the brilliant London Cycling Campaign; I’m really excited to have the opportunity to work with a charity which is so close to my heart. I love London, I love cycling and these are the people working hard to get a better deal for all London riders; they’re a united voice for all of us, campaigning on our behalf for safer roads. I’ll be posting updates on our work together and how you can get involved. If you care about cycling in the capital, you’d be crazy not to support them.